The library will close at 1:00 pm on Tuesday the 24th and remain closed on Wednesday the 25th. We will also close at 1:00 pm on Tuesday the 31st and remain closed on Wednesday the 1st. Have a great holiday and remember that we are always open at our website and through our mobile app! We've got a special program to celebrate the launch of our Family Winter Reading Program: Wiggleworms! On Saturday the 21st we'll be offering two drop-in Wiggleworms programs at 11:00 and 1:00 for children of all ages with parent or caregiver. Laura Doherty from the Old Town School of Folk Music's Wiggleworms program will acoustically rock your child's world with breezy folk-pop tunes from her award-winning CD Shining Like a Star. This upbeat program engages children in dancing, singing, puppets, and more! Plus, kids can sign up for our eight week Family Winter Reading Program while they're in the library. Whether you’re traveling for winter break or staying home, we’re sure you’ll want to catch up on your reading, and our YA and Family Winter Reading Clubs have lots of goodies to reward you! In the YA program you set your own goal for the number of books you think you can read during the program. If you read your goal by March 3, you get a free paperback book of your own choosing. You also have a chance to enter the drawing for a Books on Vernon gift certificate when you sign up, plus you get free DVD rental coupons for each book you read! As for the family program, everyone can contribute toward reaching the family’s reading goal. Children of all ages and their parents and caregivers are encouraged to read for 15 hours this winter season. The YA Winter Reading Club begins on Wednesday, December 18 and the Family Reading Program starts on Saturday, December 21. Please note that Winter Reading Club for adults does not begin until January 11...stay tuned for more info! Our phone lines are ringing again! Give us a call and say hello! Kids can celebrate "Saturdays of the Seasons!" with the rest of the Glencoe community. On Saturday, December 7, from 11:00 a.m. to 2:00 p.m., children of all ages with parent or caregiver can stop by the library and create fun and festive holiday cards. The Board of Trustees of the Glencoe Public Library invites you to meet the new Library Director, Juli Janovicz. Stop by on Sunday, December 8 between 3:00 and 4:30 p.m. (the library will be open normal hours, 1:00 to 5:00 p.m.) for food, drink and plenty of friendly conversation. 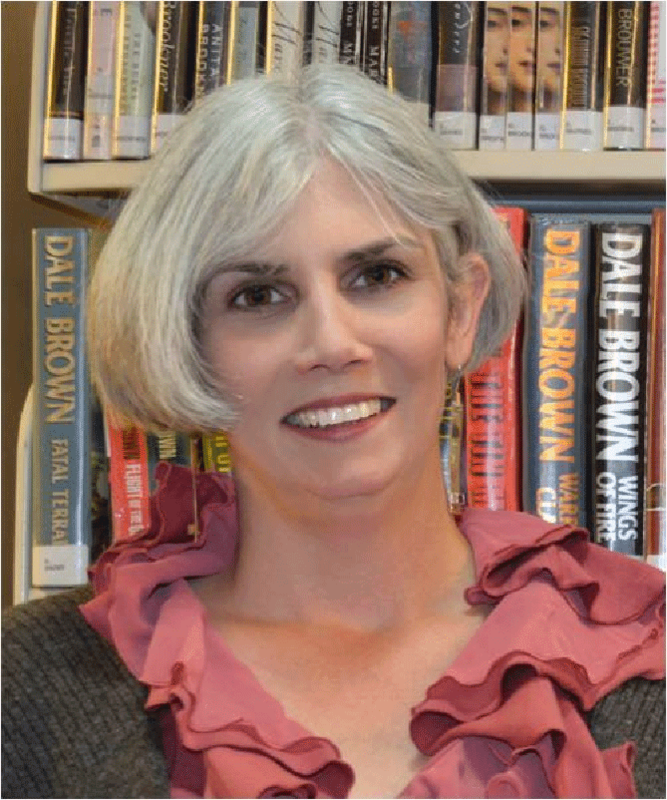 Please join us and say hello to your new Library Director!